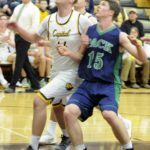 In a fast, physical and entertaining game in front of a raucous crosstown crowd, Glacier held off the hosts to earn a 61-48 boys basketball victory on Tuesday night at Flathead High School. Drew Engellant scored a career-high 22 points to help the Wolfpack claim the regular-season sweep. Glacier is now 5-8 overall and 3-4 in Western AA, while Flathead is 4-9 and 1-6. “You knew it was going to be a close game … you knew they [Flathead] were going to come out tough,” Glacier head coach Mark Harkins said. 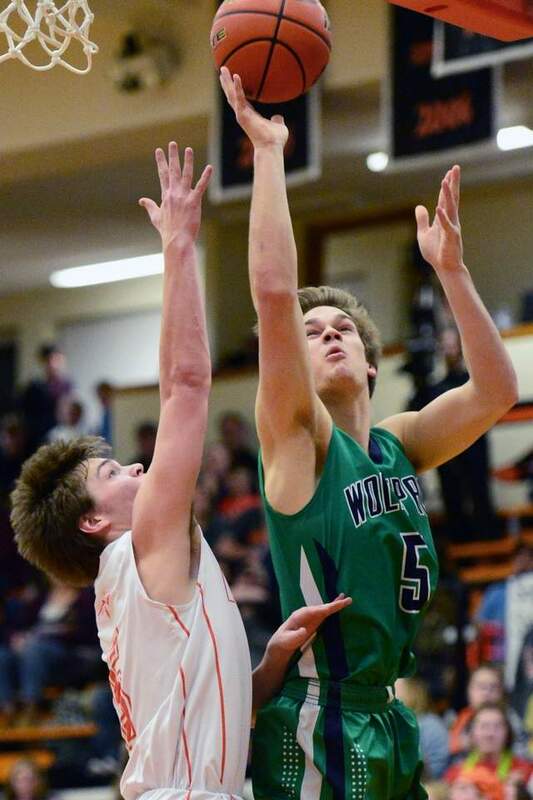 Engellant was especially strong in the first quarter, scoring eight of Glacier’s 13 points. But unlike the game on Jan. 11 — when Flathead found itself down 20-5 early — the Braves matched Glacier’s physicality, creating points off turnovers and getting the ball inside. “The mentality was, defense was going to win us the game. 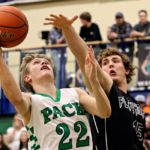 To get after them, we were going to have to pressure them, we were going to have to throw in our half-court trap,” Flathead head coach Ross Gustafson said. The Braves took a 15-13 lead in the final seconds of the first quarter when Blake Counts hit a fade-away, mid-range jumper. 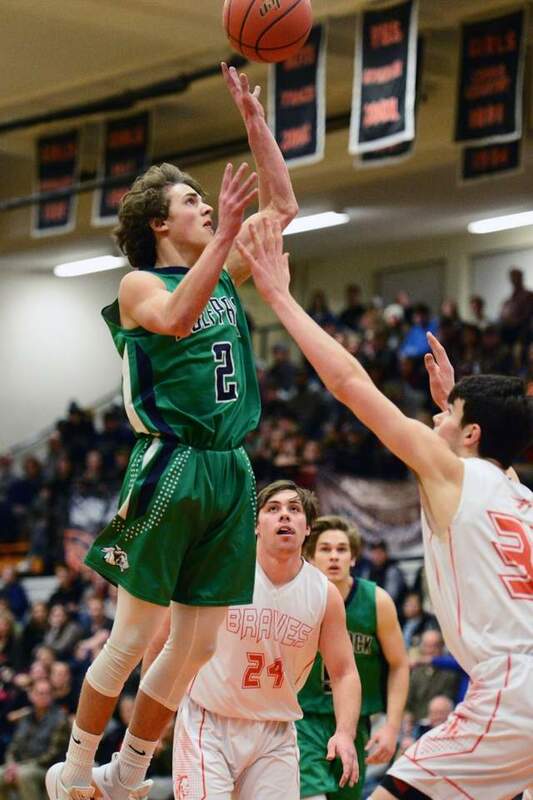 In the second quarter, Flathead struggled to find open looks in its half-court set, though it managed multiple baskets off steals and breakaway layups from Seth Moon. “Seth has done that throughout the season. He’s kind of a wrecking crew out there at about half court. 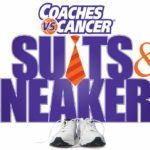 I wouldn’t want to be guarded by him,” Gustafson said. Moon and Counts both finished with 12 points to lead the Braves. 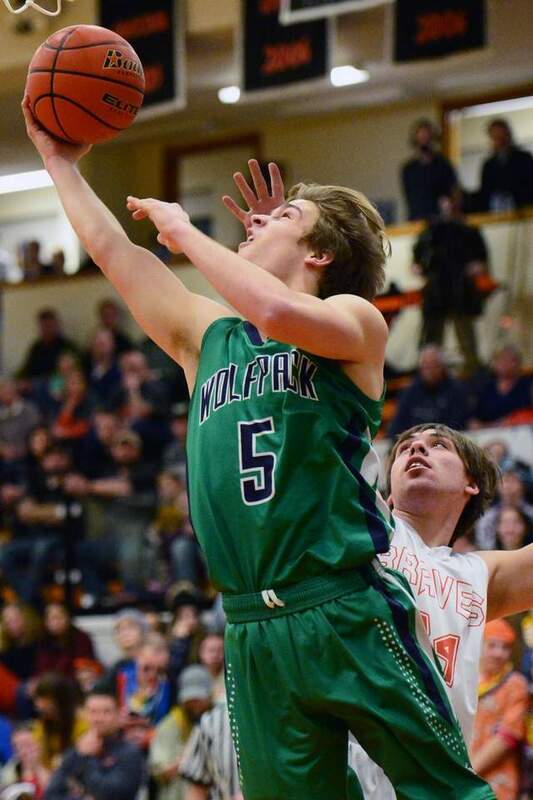 Glacier found some rhythm on offense, driving aggressively to the basket and getting Flathead in foul trouble. Braves’ leading-scorer Gabe Adams was called for his third foul with 2:20 to go in the half. “He probably got a couple tough calls, but you get a half-step behind, and those are the calls that are made … we need a little bit more from him,” Gustafson said. The Wolfpack went into the half with a slim 27-24 lead. 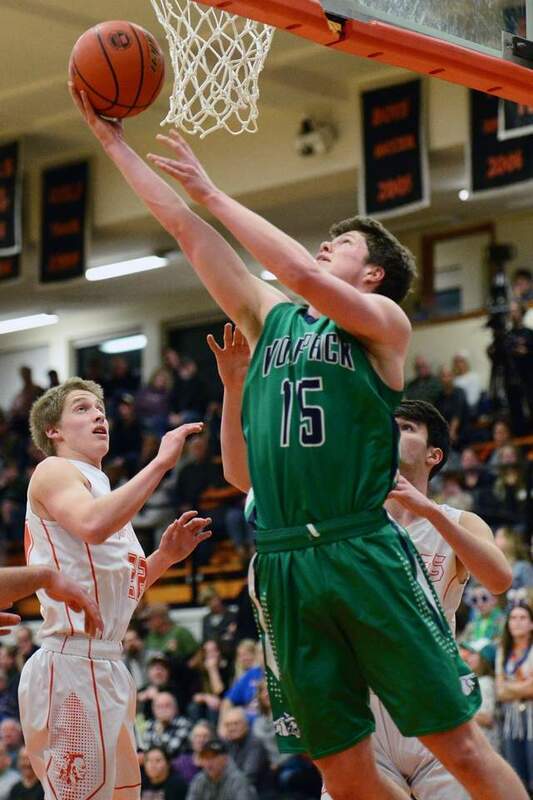 Engellant took over again in the third quarter, scoring eight points in the frame to help Glacier pad its lead despite Flathead’s stingy full-court defense. 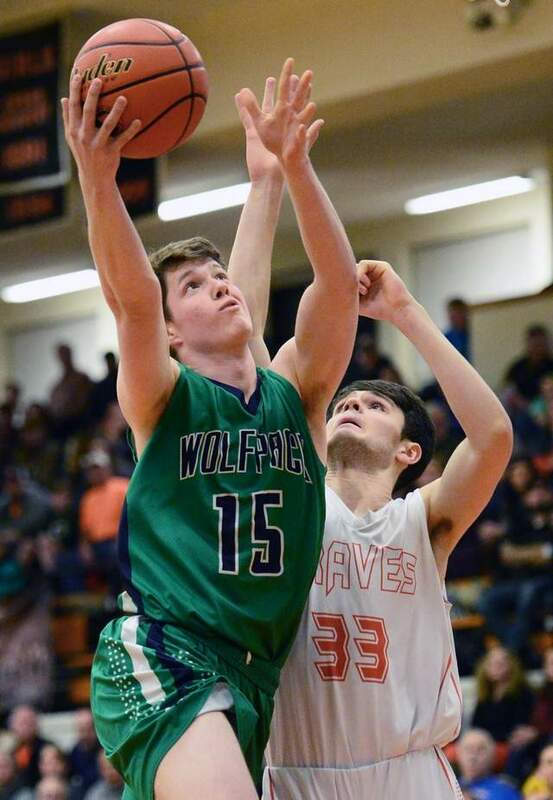 “Drew did a great job tonight … He scored those 22 points but I also thought his rebounding was amazing, his passing was amazing,” Harkins said. 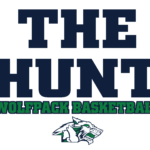 Stephen Bridges hit the Braves’ first 3-pointer with under three minutes left to make it 37-33, but KJ Johnson answered with a triple and the Wolfpack went on a 7-0 run to build a 44-33 lead. 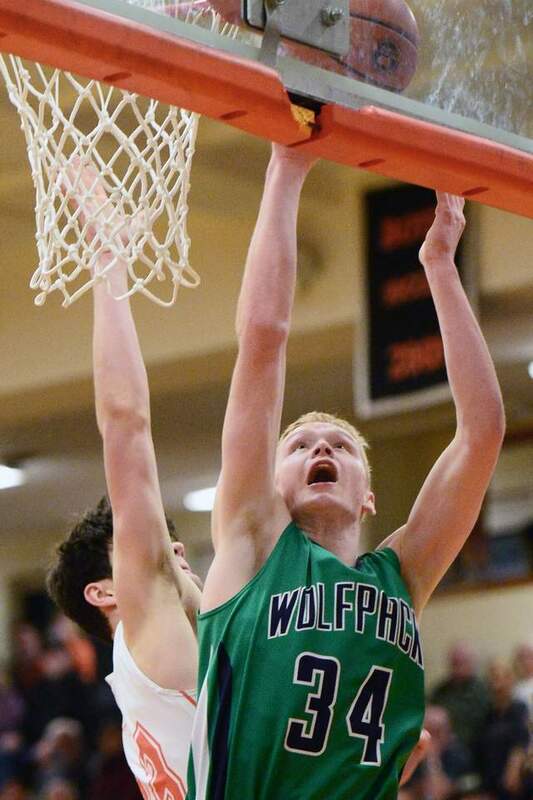 Tannen Beyl hit another 3 to cut the deficit to eight before Cole Crosby’s trey with seconds to go gave the Wolfpack a 47-36 advantage entering the fourth. The Braves opened the final quarter on a 9-2 run, starting with an alley-oop from Counts to Moon before another steal and fast-break basket by Moon made it 49-45. But Glacier had the offensive weapons to keep Flathead at bay. 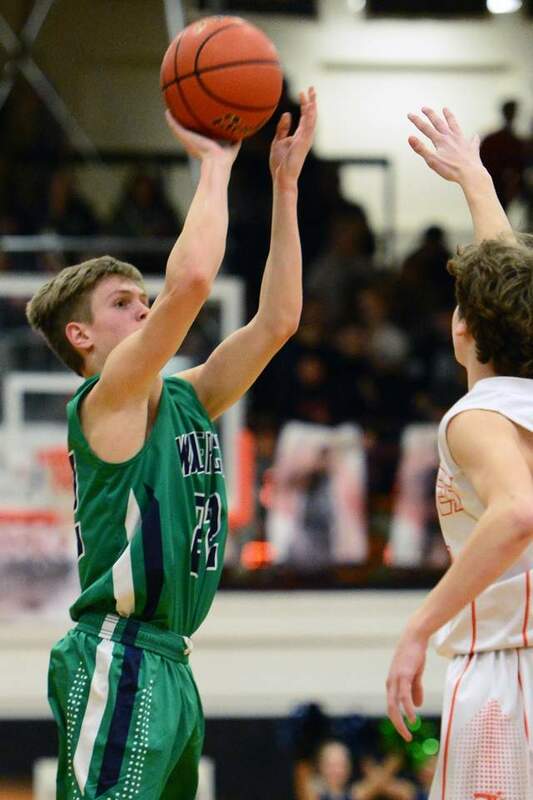 Weston Price hit a dagger triple that silenced the home fans with just under four minutes left to make it 52-45, and Engellant’s old-fashioned 3-pointer off an offensive rebound with 1:30 left gave Glacier a 57-48 lead. “A great player made a great play,” Gustafson said. 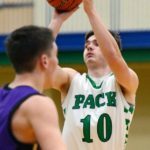 Glacier’s depth – 10 players scored for the Wolfpack – made a big difference throughout the game. 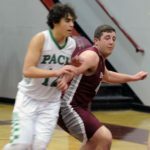 “Bret Michaels and Cole Crosby coming off the wing did a nice job of penetrating and finding open guys, hitting shots when they needed to,” Harkins said. Michaels had seven points for Glacier, as did Price. “I tell the guys, you’re not going to get too many opportunities in your life to play in front of crowds like this,” Harkins added. The Braves will try and snap a six-game losing streak when they visit Missoula Big Sky Thursday. 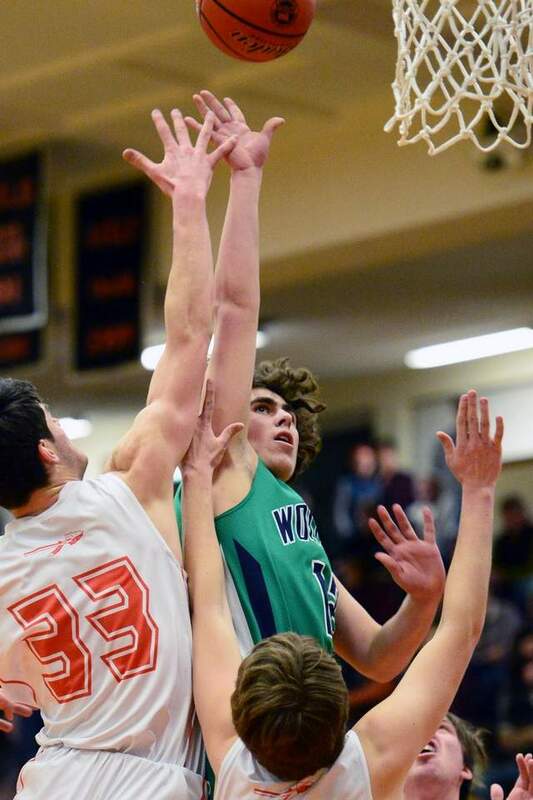 Flathead hosted the Eagles on Jan. 10 and won 51-48, its lone Western AA victory. “We need to bring that same effort … we’ve got to go on the road now to a team that’s just as hungry as us for a win,” Gustafson said. 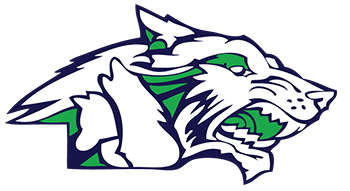 Glacier’s next action is a home game versus Big Sky on Saturday at 4:15 p.m.
GLACIER – Drew Deck 6, Ethan Baines 6, KJ Johnson 3, Weston Price 7, Cole Crosby 3, Christian Hensley 1, Drew Engellant 22, Kyle Buckingham 1, Michael Schwarz 5, Bret Michaels 7. FLATHEAD – Tannen Bell 5, Stephen Bridges 7, Seth Moon 12, Brian Wells 1, Blake Counts 12, Brett Thompson 3, Gabe Adams 8.